Feel like you need an overland driving adventure? 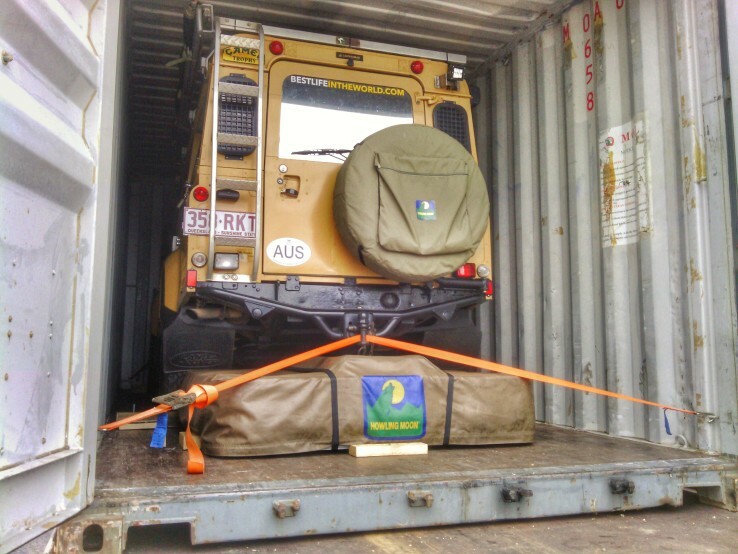 Want to get your vehicle out of Australia and into Asia? It’s not as difficult as you may think. Once you’ve got the paperwork sorted the process itself is smooth sailing. You just need to pre-plan, have a little patience and have the funds to make it happen. Think of it as your vehicle’s passport. A temporary import document that, in theory, allows you to drive in and out of most countries without paying exorbitant import fees. Slap the big AUS sticker on the car! Campervans, caravans and vehicles with cooking/sleeping facilities are illegal on Singapore roads. Tell them what they need to know and nothing more! Collecting your vehicle in person means entering the secure port area. For this you need the shipping agent to arrange a security pass in advance. You pay a $3.50 fee in person but can’t use cash or a credit card, only a local cashcard – as your agent about using their one! Get the first stamp in your carnet and drive!